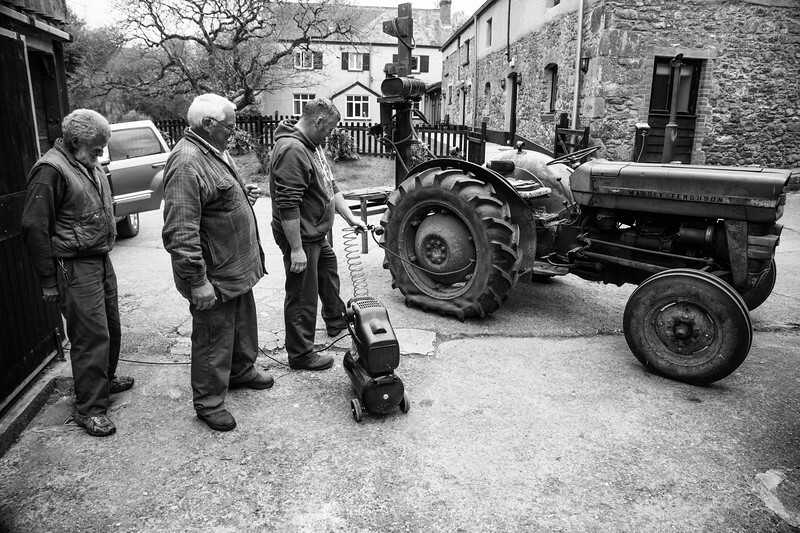 How many men does it take to change a tractor tyre? At least two of them are about five years older than the machine. It still works quite well.